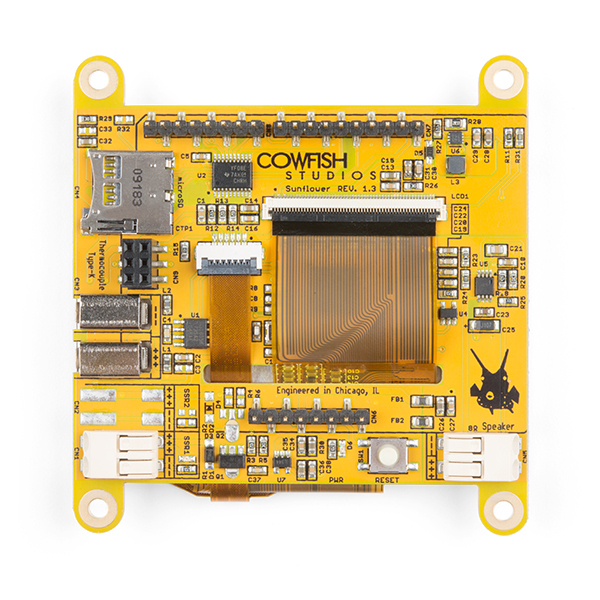 The Sunflower shield from Cowfish Studios enables your Arduino to run extremely responsive graphics and touch processing while still leaving plenty of processor power for other tasks like running simulations, sampling sensors, or responding to the user. 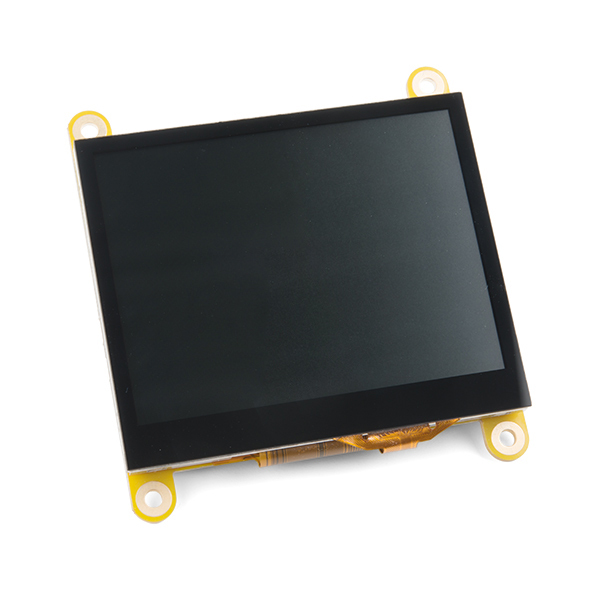 The TFT LCD display is a high-quality QVGA (320 x 240, 24 bit color depth) multi-domain display that is great for viewing from many angles. 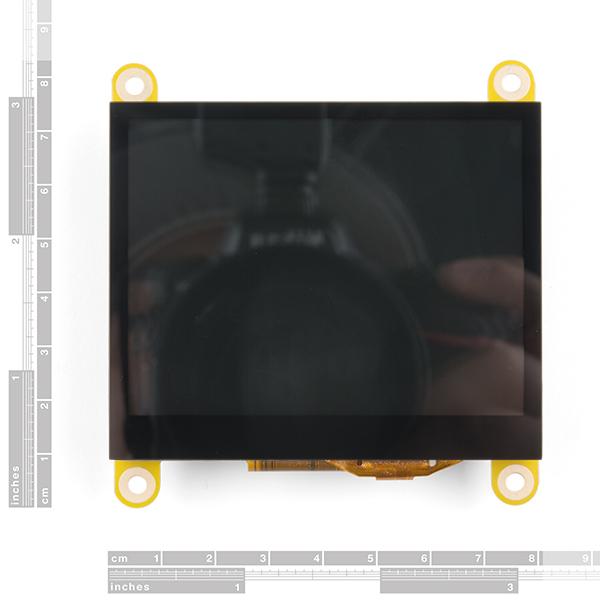 On top of the display is a very responsive 3.5" diagonal capacitive touchscreen. This is the kind of touchscreen used on cell phones - not the frustrating resistive touch technology like you'd find on a payment pad at the Home Depot. 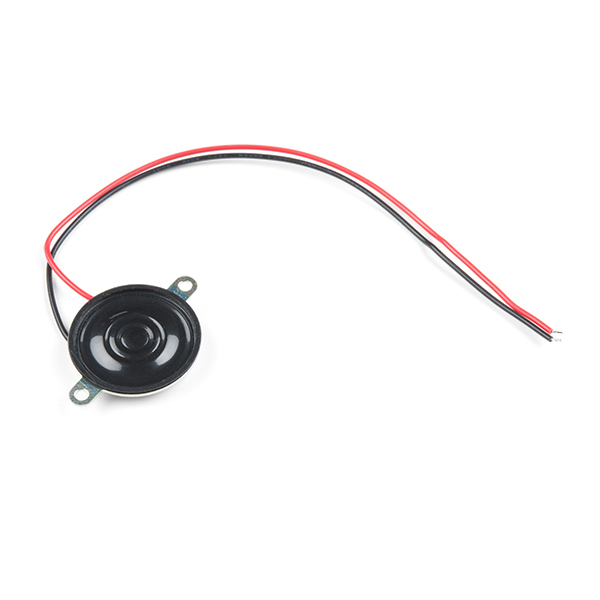 There is also an 8 Ohm 1.25W audio amplifier with a poke-home connection for the included speaker. What's the best part of all these goodies? Thanks to the Bridgetek FT813 Graphics Controller IC with Embedded Video Engine (EVE) it won't eat up all of your Arduino just to run them! The FT813 uses an object-based command set to render the image onscreen, handle touch input, and output audio. 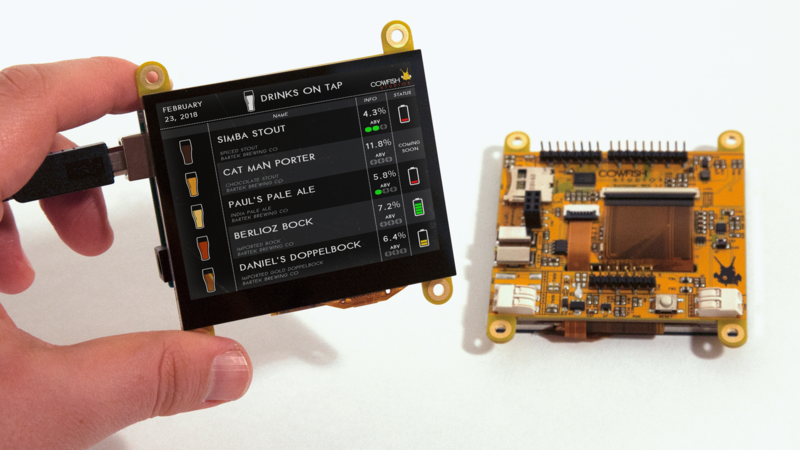 This keeps traffic on the SPI bus to a minimum and allows the host microcontroller to focus on more interesting tasks. But wait, there's more! 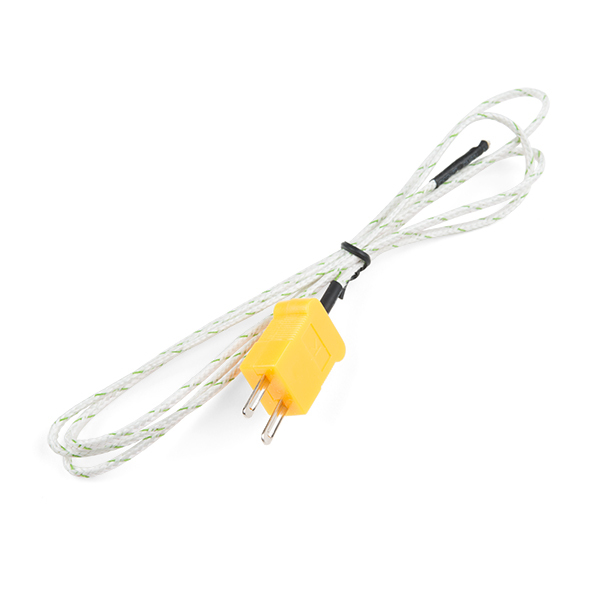 Hold on to your seat cause the Sunflower shield also includes a K-type thermocouple amplifier (thermocouple included), an output to control a solid state relay, and a PWM backlight controller for the LCD. We're truly curious what kind of monstrosity you will make with all this capability. If the object-based graphics engine is intimidating don't worry! Thankfully a man named James Bowman wrote a very good Arduino library to support the FT813 chip and then went above and beyond to create the ultimate manual for his library. He took all the hard work out and left only the tasty creative jobs up to you, and there are even a host of examples to get started with.